Error 29113. Wrong input – either a command line argument is wrong, a file cannot be found or the spec file doesn’t contain the required information, or the clocks on the two systems are not synchronized. 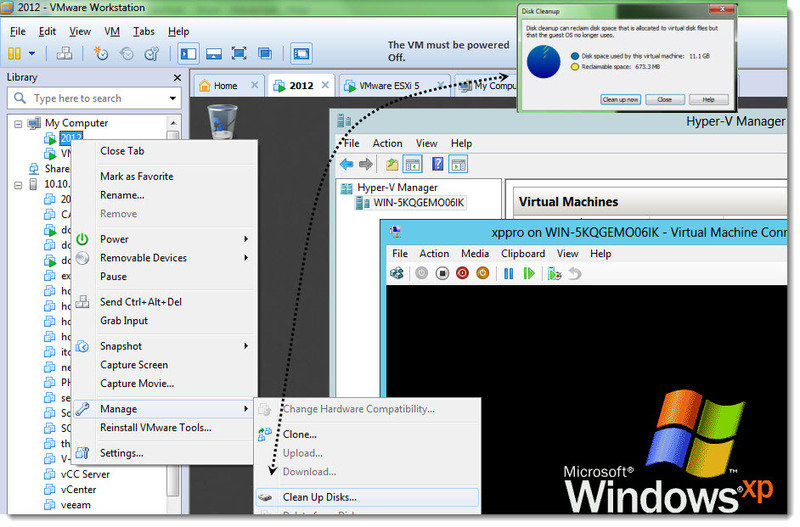 Check vm_ssoreg.log in system temporary folder for details. java.lang.IllegalArgumentException: Invalid solution certificate. Certificate already expired. The problem is due to expired vCenter certificates. When a client connects to vCenter, vCenter presents its certificate to the client. The client then has the responsibility to validate the certificate. If something is wrong with the certificate (can’t trust signer, expired, mismatch subject/hostname), the client needs to inform the user. The user then has the option to not connect or to continue connecting. Note: This is not a security issue. The certificate is only used at the time of installation and the expiration of the previous certificate has no security risk associated with it. For more information on this error, refer to KB article: vCenter Server 5.1 installation fails with a Wrong input and Certificate already expired error (2035413). This presentation provides best practice information on upgrading your install of vCenter Server 5.1. Included in the presentation are highlights of the new vCenter Single Sign On. vSphere 5.1 introduces the vCenter Single Sign On service as part of the vCenter Server management infrastructure. This change affects vCenter Server installation, upgrading, and operation. As part of this change, vCenter Inventory Service is now installed separately from vCenter Server. When you install or upgrade vCenter Server 5.1, you must install vCenter Single Sign On and install or upgrade vCenter Inventory Service, in that order, before you install or upgrade vCenter Server. IMPORTANT VMware does not support command‐line installation and upgrade methods for vCenter Server. However, if the installation or upgrade succeeds, VMware supports the installed or upgraded product. If you are like me and have interest for the latest virtualization technology take a closer look at what’s happening at VMworld 2012 in San Francisco. With the new vSphere 5.1 a new vMotion option has been added (only in the new Web Client) that combine vMotion and Storage vMotion in a singe hot migration step to migrate between hosts/clusters without shared storage! This could increase the mobility of the VMs and usage also of local storage (for some cases). Both VM state and VM files are transported across network using the vMotion vmkernel interfaces (so a good network design could be necessary). The news just went out. The new release of VMware Workstation 9 introduces many new features. One of the good news is better support for nested virtualization and Windows 8 support. VMware Workstation 9 can be installed on Windows 8 and to support the former Metro UI, where toggling between Metro and Desktop can be done by the Windows key and it’s the Unity mode which handles the Metro Interface. Together with this release, for MAC users, there has been a VMware Fusion 5 release with 70 new features. VMware Workstation 9 supports multitouch, for driving the Metro interface running in Workstation on Windows 8 tablet. Nested Virtualization – This is a very good news for nested virtualization fans. The new VMware Workstation 9 should run the nested hypervizors more smoothly since there has been some enhancements and improvements done of virtual Intel VT-x/EPT or AMD-V/RVI extensions. 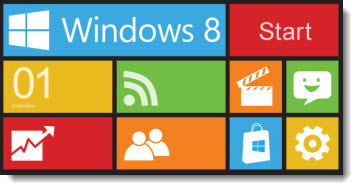 Support of Windows 8 – Another cool feature is an official support for recently RTM Windows 8. 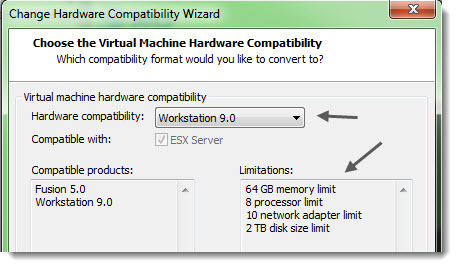 VMware Workstation 9. Easy Install has been enhanced to recognize Windows 8. Workstation 9 has been enhanced to support the Windows 8 user interface (formerly known as Metro…. ). WSX – Workstation’s new web interface allows you to access your virtual machines running in Workstation or vSphere on a tablet, smart phone, PC or any device with a modern browser. VMware Workstation web interface that enables users to access their Shared virtual machines via a web browser on a tablet, smart phone or PC without installing any additional applications or browser plug-ins. This service renders an HTML5 web page that can connect to your Workstation hosts, enumerate the available Shared virtual machines and allow you to power them on and interact with the desktop. WSX isn’t supported for production environments in this release. The recommended browsers are Google Chrome 17 browser on PCs and the Apple Safari 5 browser on Mac OS hosts and iPads. Better Graphics – The enhancements include a display-only graphics driver that can render 3D in Windows 8 without hardware acceleration. You should be able to run those graphics application faster and more precise (like AutoCAD and SolidWorks), with better rendering . Windows XP graphics driver has been improved and big changes were made to improve performance and enable more advanced graphics capabilities in the future. VMware Player Completely Rewamped – The new Workstation 9 brins also significant improvements for VMware Player. layer user interface has been completely revamped. The user interface conforms with Windows standards, menus have been updated, the toolbar now matches Workstation in regular and full screen mode, we have added device icons, and we have made many more little improvements. Quick switch II – There is now tabs in full screen mode in order to switch between VMs that runs in full screen mode. Remoting Improvements – better experience when using VNC client or interacting with the desktop on virtual machine running on vSphere from within VMware Workstation 9. Disk cleanup – Better management of disk space from within VMware Workstation 9. You can reclaim disk space that has been allocated to the VM but is no longer used by the guest OS. This is something that was always painful, especially if you’re running nested ESXi labs, which consume a lot of diskspace on a SSD drive. SSD drives which are never large enough… -:). Or VMs where you install and uninstall stuff often. Click to enlarge. Downloading VMs from vSphere – now its possibly to download VMs from vSphere by dragging them from the remote ESXi host to My computer section of the Virtual Machine library. Note that in Workstation 8 it was possibly to upload the VMs from Workstation to ESX. VM restriction – Now its possible to enter additional passwords (in addition of encrypted VMs), for changing the VM settings. This feature enables IT professionals and educational institutions to create virtual machines to be used by their employees and students that prevent these users from enabling shared folders, dragging and dropping files, attaching USB devices, and overcommitting system resources. Restricted virtual machines can be run in VMware Workstation 9, VMware Player 5, and VMware Fusion 5 on Windows, Linux or Mac PCs. Microsoft has released the RTM version of their latest OS for MDSN subscribers the 15th of august. The release for everyone is schedulled for October 26. If you’re not MSDN subscriber or Microsoft partner, you can test the Windows 8 OS by getting a 90 days trial. No product key is required to install this RTM. The only thing is, that you will need to activate it within 10 days after installing it in your system. The trial is available following languages: Chinese (Simplified), Chinese (Traditional), English, English (UK), French, German, Italian, Japanese, Korean, Portuguese (Brazil), and Spanish. If you wish to test this system in VMware Workstation, install it as a “Windows 7″ (32 or 64, depending which ISO you’ll get) check the “Accelerate 3D graphics” setting for the graphic card. You could certainly read about Why there is no start menu in Windows 8 about everywhere. Start menu which makes the access to power operations or configuraitons much more difficult. You’ll certainly want to get rid of the Windows store page when the system boots up. The workarounds for booting up directly to W8 desktop are numerous. Take a look at Cool Start Menu for Windows 8 and Windows Server 2012. It’s a small freeware application which brings back the start button for Windows 8 and provides many more other cool settings. If you’re looking for the 2012 Server RTM, there are no trials, but as you might already noticed, the RTM ISO of Windows Server 2012 leaked through the main torrent sites….. If you’re wondering on which machine you’ll be able to test this OS, you can find below the system requirements.